Some of us use the winter months to mimic the animals around us and hibernate. We shut off the world when we can; set ambitious goals for summer and tell ourselves “we’ll get to this in the spring”. We use the chill of winter nights to hide away from our responsibilities. For others, winter bears no greater meaning and in fact, the time is used to our advantage! Ever thought about buying a home and moving in the winter months? The connotation of such an endeavor is different in Florida than in Minnesota, but the bottom line is the same: the adventure of purchasing a home in a most unique season. 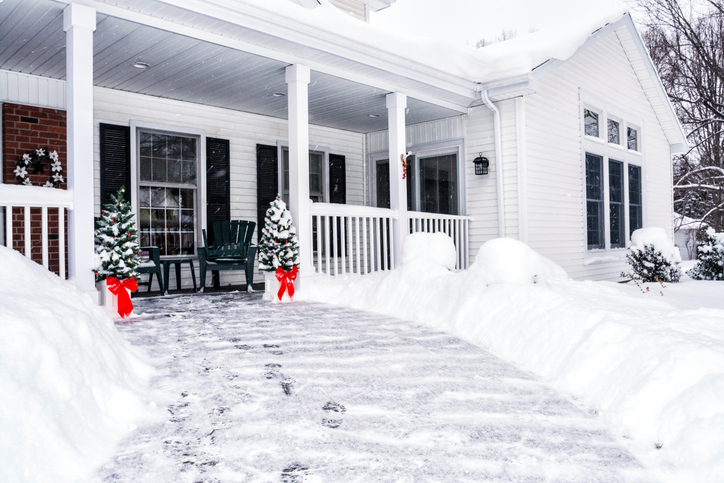 While spring and early summer rein as peek home-shopping seasons, there’s no good reason why you can’t find that perfect house in the middle of winter, too. In fact, you might even get a good deal from homeowners who are anxious to sell as soon as possible and don’t want to wait for the spring thaw. – Winter weather may prevent you from getting a good sense of a home’s yard, particularly, if it’s covered in snow. Make sure you’re informed as to the exact size of the plot, patios and decks, and ask your agent to show you pictures of the yard and home’s exterior in the spring and summer, if there aren’t any posted online. – Ditto for the landscaping. If gardens are a high priority for you, find out which perennials, bulbs, shrubs and flowering trees are planted on the property, and whether or not the owner maintained a vegetable garden. This will give you a sense of what will emerge come spring and what your options are for further gardening endeavors. – While you can experience the quality of the home’s insulation and heating system first-hand in the winter, you won’t be able to get a feel for the central air. Find out how old the system is, when it was last maintained and make sure the inspector takes an especially close look. – The natural lighting in a home can be drastically different in winter compared to summer. Take time to notice the number of leafy trees on the property to get an idea of how much shade cover there will be when summer arrives. This will also give you a sense of the leaf clean-up job on deck for fall. – In cold or inclement winter months, when people tend to hibernate indoors, you may not get a full sense of the neighborhood. Ask the agent about the number of and age range of children in the neighborhood, how active the community is, common traffic patterns and noise level. The good thing about buying a home in winter is that you’ll be all moved in and ready to enjoy the warm weather when it rolls around. So throw on an extra layer and start your search! Open House This Sunday Oct. 29th from 2-4.